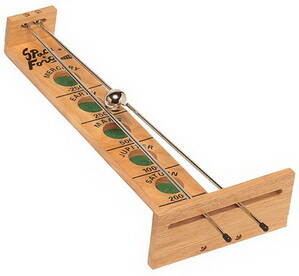 Wood Expressions, your source for games. Wood Expressions – People. Games. Fun. Bringing them together since 1977. Wood Expressions, Inc. has been manufacturing, importing and distributing games from around the world for 40 years. 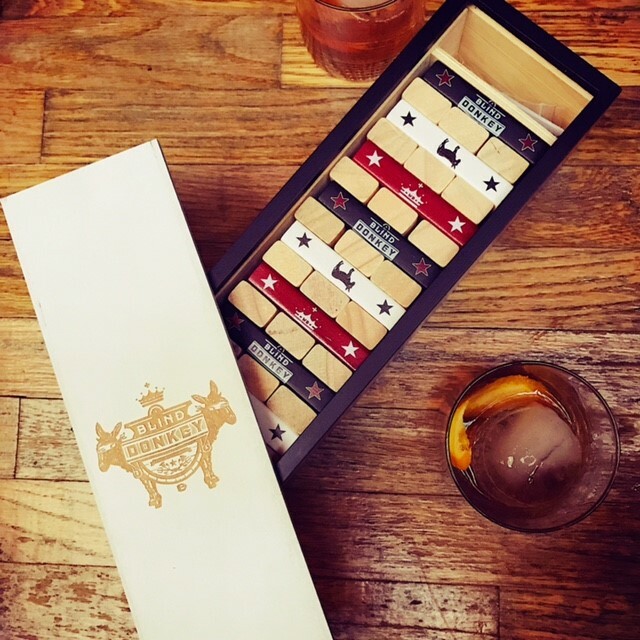 We are the proud maker of heirloom games made from high-quality materials that stand the test of time. Recently, we added USA made games to our line using sustainable materials such as North American Maple, Oak, and Walnut hardwoods. Chess has always been our specialty with a wide selection of styles and price-points, from the beautifully hand-carved Staunton chess set to Franklin Mint’s Official 50th Anniversary STAR TREK Tri-dimensional Chess Set. We also offer a variety of fun and artfully crafted games such as backgammon, cribbage, dominoes, Shut the Box, Mahjong, Go, Shoot the Moon, Sudoku and many more. Grand Jacques Ebony Chess Set – Triple Weighted Pieces with Leather Bottoms & Ebony Wood Board 19 in. A superior chess set for the most refined chess player! It includes a gorgeous 19 inch ebony chess board with the smooth finish, fine texture, and regal look that has made ebony a prized wood since ancient Egyptian times. 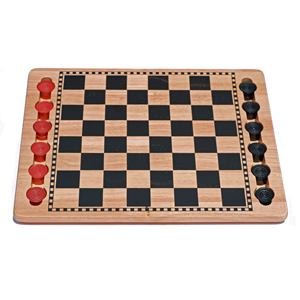 The chessmen are superior, triple-weighted, hand polished, ebony and kari wood pieces with leather bottoms. This leather detail really allows the pieces to glide effortlessly across this incredible board and makes play a true delight. The elegant interpretation of the Jacques style pieces are the height of craftsmanship and are incredibly graceful. This is an heirloom quality set that will be cherished for generations! The Star Trek Tridimensional chess set is bold, distinctive, eminently logical, and has everything you’ll need to start your intergalactic chess playing expedition. 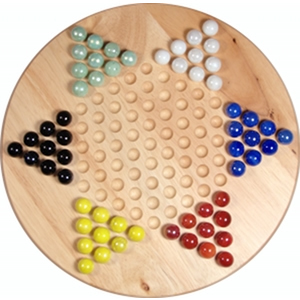 The 32 game pieces are precision cast and coated in sterling silver or 24 karat gold, with three main playing boards, and four moveable “attack boards”. It also comes complete with a specially designed collectible booklet containing the history of the game and the rules of play. It is a stunning showpiece, moving the Star Trek saga into a bold new dimension. This chess set, from the Franklin Mint, is being released in honor of the 50th anniversary of the Star Trek TV series. The release is also timed in conjunction with the anticipated film Star Trek Beyond, the 13th film in the 50 year Star Trek franchise, being released summer of 2016. Grand Jacques Chess Set with Storage Drawers – Weighted Pieces with solid Maple & Walnut Wood Board 19 in. This beautiful chess set combines the grace of finely detailed chessmen carved in the Jacques style with the durability and quality of an American made chess board. 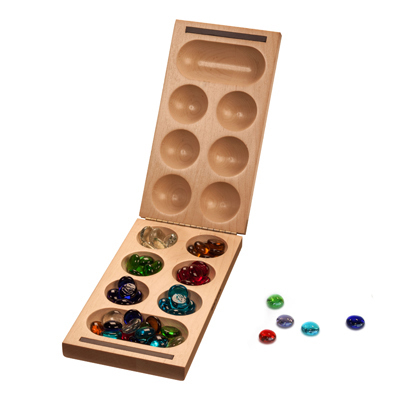 The pieces are made from black stained and kari wood, are polished by hand, and are weighted for extra stability during play. Billiard felt pads line the chessmen bottoms to protect the surface of the board from scratches. 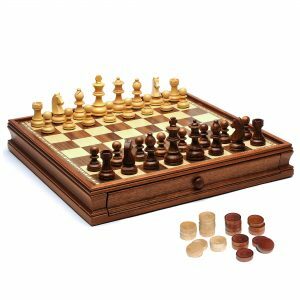 The large board is made in America of solid maple and walnut wood and features two pull out drawers for storage of the chess pieces. A light finish is applied over the natural wood for an ultra smooth playing surface. The timeless style and beauty of this classic wooden chess set will be enjoyed for generations and will add character and style to any room in which it is placed. This gorgeous brown leatherette backgammon set has a sophisticated design including clean lines, felt-lined cups and beautifully stitched points. A pleasure to play and an honor to give as a gift, this backgammon set will be cherished for generations. Backgammon is known to be one of the oldest games ever to exist and was unquestionably the most universally widespread. Modern day Backgammon was not invented overnight. It is a creation evolved from many versions of the game that have been passed along from generation to generation. 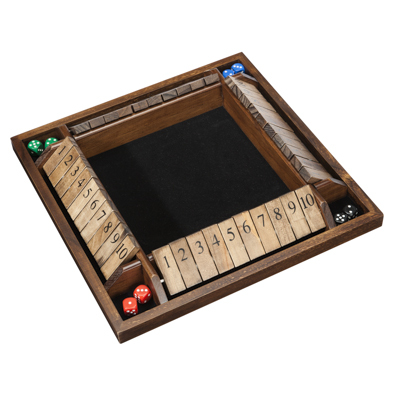 Backgammon is a game of fortune as well as skill, but the rules are very simple and easy to learn. The history of the game has been linked to the aristocracy of ancient empires proven by artifacts as well as legendary references from Persia, Greece, Rome, and the Far East. The WE Games Design Studio can laser engrave or color imprint a custom logo on just about any product we carry. Our high-quality, classic games are non-disposable, non-consumable and are sure to leave a lasting impression. We work with you to bring your design and vision to life using laser engraving, full color print, foil stamping, embroidery, screen printing and recessed plaques. Typical production time takes 2-7 business days for most in-stock items. We will provide rush service at no charge as our schedule allows.